Feng Shui – Julie Froberg Rose in L.O.V.E. 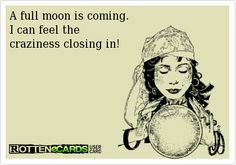 With the advent of the Blue Moon approaching, a curiosity arose within me as to how this could affect us. Then, I began thinking of the word “blue‘, the personalities associated with the color, the emotions it can stir and how it is used in Feng Shui. Blue is also the title of one of my favorite songs, performed and penned by the Jayhawks. The first thing I learned is rarely a blue moon blue! The blue moon is an “extra” full moon in the calendar cycle. This occurs every two to three years, hence the term “once in a blue moon.” Our next blue moon is happening on July 31, 2015, with the following blue moon showing its’ face in 2018. It would be spectacular to see a beautiful blue moon this week, but in actuality, it will be a “normal” looking full moon. The moon does appear to be blue in select atmospheric conditions, like a volcano. Oftentimes people refer to unusual events with the remark “there must be a full moon.” Statistics by scientists do not support this theory but the full moon does affect some animal behavior. The idea that our bodies are over 75% water, thus having “tides” affected by the moon as does the ocean, has been discredited. However, most law enforcement personal and emergency room staff will attest to more unusual occurances on a full moon evening. 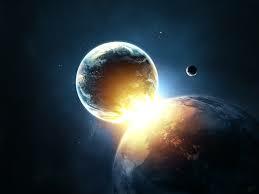 Astrologists believe the moon and planets do affect the Universe and all it contains. For example, Venus is in “retrograde” (appearing to move backwards). This, in conjunction with the full moon, is said to create some strong aspects involving relationships. The blue moon in Aquarius, in addition to retrogrades of other planets, has been referred to as “planets colliding.” It is supposed to be a time to take notice, make changes, and no longer put off doing things that need to be done to advance ourselves. Practitioners of “Color Psychology” have related certain traits to people choosing blue as their favorite color, Among those traits are; loyalty,genuineness and sincerity. A person associated with “blue” is also said to think before they speak, are conservative, have a need for peace, are vulnerable without appearing to be so,and caring. The downside of this personality and be rigidity, moodiness and manipulative tendencies. Feng Shui experts have their own theories about the color blue. In Feng Shui, there needs to be a balance of the five elements: earth. fire, water, wood and metal. Blue represents the water element. The water element is about the sky and tranquility. It is a good color to put in the “family” area of your home and should also be used next to a wood element, as water nourishes wood. Are there things you would like to experience more than “once in a blue moon?” Most of us would answer that with a resounding “yes!” Many of us talk about taking more vacations and end up in a “staycation” due to chores we feel need to be done or fear of going over budget. Now is the time to change that!